“We’re always looking for ways to help students get the real feeling for astronomy,” Gabel said. “Visualizing space from another planet, like Mars, or from Earth’s moon, is a unique experience that goes beyond pencil and paper or a two-dimensional photograph in a textbook. BAE created a guided step-by-step training solution for HoloLens to teach workers how to assemble a green energy bus battery. How long before items that need some assembling come with such experiences/training-related resources? Augmented reality might not be able to cure cancer (yet), but when combined with a machine learning algorithm, it can help doctors diagnose the disease. Researchers at Google have developed an augmented reality microscope (ARM) that takes real-time data from a neural network trained to detect cancerous cells and displays it in the field of view of the pathologist viewing the images. At the start of the year, we published a blog post on interesting research from 2017 related to innovative approaches to school design. Even though we aren’t even half-way through 2018, there are already several insightful reports on blended and personalized learning from this year that are worth highlighting. These reports examined various tools and approaches to implement blended and personalized learning models, as well as the potential impact these models could have on students and teachers. From examining how schools implemented their models sustainably to recommending methods to best support teachers, these are informative reports for anyone interested in implementing blended and personalized learning models in their schools. A series of mesmerizing glass sculptures by Minnesota-born, Washington-based artist Dylan Martinez. 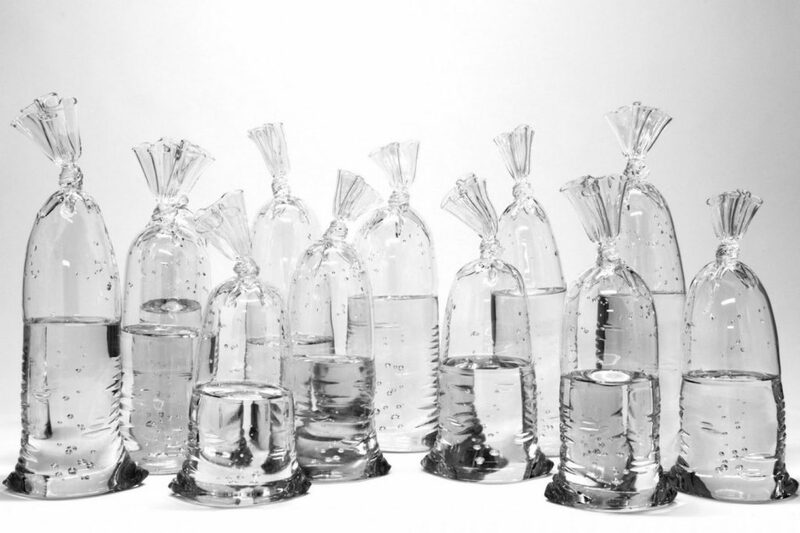 Created using a combination of sculpting (for the solid glass “water”) and glassblowing techniques (for the surrounding glass bubble or “bag”), Martinez’s meticulous attention to detail purposefully plays with viewers’ ability to distinguish between reality and illusion. See more images below or on display at Echt Gallery in Chicago starting July 13. But I see too many kids who are hurried and harried toward the level they’re “supposed” to be on by the end of a given grading period, with too little attention given to the path they’re walking to get there. I see children begin to define themselves by test scores, grades, and how quickly they’re leapfrogging from one level to the next. But here’s the critical point about their progress: that growth is a positive side effect, not the end goal, of the block of time we call the “Wild Reading Rumpus.” The true purpose of that reading time is for my students to come to love reading, so that they will lead richer lives—not just in the future, when they go on to college or a career, but in the present. When we celebrated their perseverance and hard work, I had children stand and be applauded not according to how high their score was, but according to how much growth they had made. I just thought this was an excellent essay. Too often K-12 education in the United States is like a run-away train. When the train’s leaving the station, you better hop on board. It waits for no one. Its speed is set. You better keep up. Good luck to those who don’t. “Best wishes!” our system cries out. But it dawned on me today that the future of our very own AV market may not be in the hands of any new product, new technology or even an AV company at all. 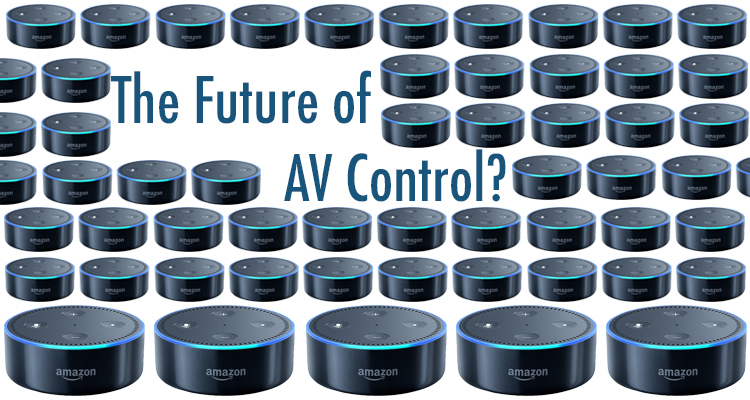 In fact, there’s likely one AV guy (or girl) out there, today, that controls the future of AV for all of us, but doesn’t even know it, yet. I’m talking about Jeff Bezos’ personal AV technician. Yes, that Jeff Bezos — the one who started Amazon. The Amazon Alexa is AMAZING. Probably the most amazing thing since Apple’s iPhone. And, maybe even more so. The iPhone was revolutionary as it was a handheld phone, an email client, notes taker, voice recorder, calendar, to-do list, wrist watch and flashlight — all in one. It replaced like 10 things I was using every single day. And I didn’t even mention the camera! Alexa seamlessly and simply connects to nearly everything you want to connect it to. And, it’s updated weekly — yes, weekly — with behind-the-scenes Friday-afternoon firmware and software upgrades. So, just when you think Alexa doesn’t do something you want it to do, she can — you just have to wait until an upcoming Friday — as someone will add that functionality. And, at any time, you can add Alexa SKILLS to yours and have third-party control of your Lutron lighting system, your shades and blinds, your HVAC, your TV, your DVR, your CableTV box, your SONOS, your home security system, your cameras and even your washer and dryer (yes, I have that functionality — even though I can’t find a use for it yet). It can even call people, play any radio station in the world, play movie previews, play Jeopardy!, play Sirius/XM radio — I mean, it can do nearly anything. It’s squarely aimed at the average consumer or home application — all to simplify your life. But it could EASILY be upgraded to control everything. I mean everything. Projectors, digital signage networks, AV-over-IP systems, scalers, switchers, audio systems, commercial-grade lighting systems, rooms, buildings, etc. — you get the idea. By the way, I wouldn’t be so sure that Bezos doesn’t realize this; there’s very little that gets by that guy. Crestron will soon be shipping the Crestron AirBoard PoE electronic whiteboard technology. Crestron AirBoard enables viewing of electronic whiteboard content on any display device, thereby solving the problem of meeting participants — remote participants, especially — not being able to see the whiteboard unless they’re seated with a direct line of sight. With Crestron AirBoard, annotations can be saved and then posted, emailed, or texted to either a central web page (education applications) or to invited participants (corporate applications). Meeting participants simply choose “whiteboard” as a source on the in-room Crestron TSW or Crestron Mercury touch screen to start the session. When “end meeting” is selected, the user is prompted to save and send the file. Home Voice Control — See Josh Micro in Action! Along these lines, will faculty use their voices to control their room setups (i.e., the projection, shades, room lighting, what’s shown on the LMS, etc.)? Or will machine-to-machine communications, the Internet of Things, sensors, mobile/cloud-based apps, and the like take care of those items automatically when a faculty member walks into the room? Game-changing ENGAGE platform beams in the best teachers from around the world. 25 April 2018: Today, the boring classroom lesson finally gets consigned to the history books when technology pioneers, Immersive VR Education, beam experts from California and Dubai into a virtual classroom to teach students at Langley College near Slough, via a short trip to the moon. Pixar co-founder, Loren Carpenter, will be ‘beamed’ in to the virtual reality (VR) classroom live from the US so that IT and gaming students at Langley College, part of the Windsor Forest Colleges Group, can learn from one of the founding fathers of computer programming for animation and film. Amazon is developing a new platform for creating VR and AR apps as part of Amazon Web Services. Amazon is no stranger to changing company direction and expanding into new markets. Starting out as an online bookstore, Amazon is now one of the giants of technology, with fingers in almost every conceivable pie. 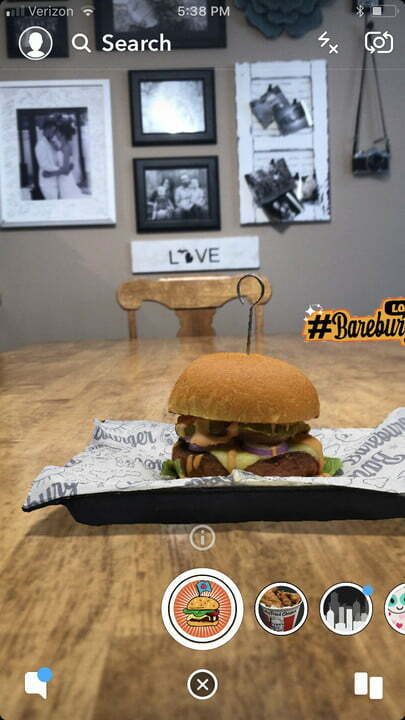 Small wonder, then, that the company is working towards a new platform for augmented reality (AR) and virtual reality (VR). The platform has been named Sumerian, and is designed to be an all-in-one development platform for the building for VR and AR apps for both smartphones and VR headsets, and eventually, VR and AR apps that can run direct from the web browser.